KTM has showcased the 790 Adventure to a select group of 150 KTM Adventure owners at the KTM European Adventure Rally in Sardinia, Italy. The KTM 790 Adventure will feature advanced rider aids like cornering ABS, traction control, riding modes and ride-by-wire throttle. 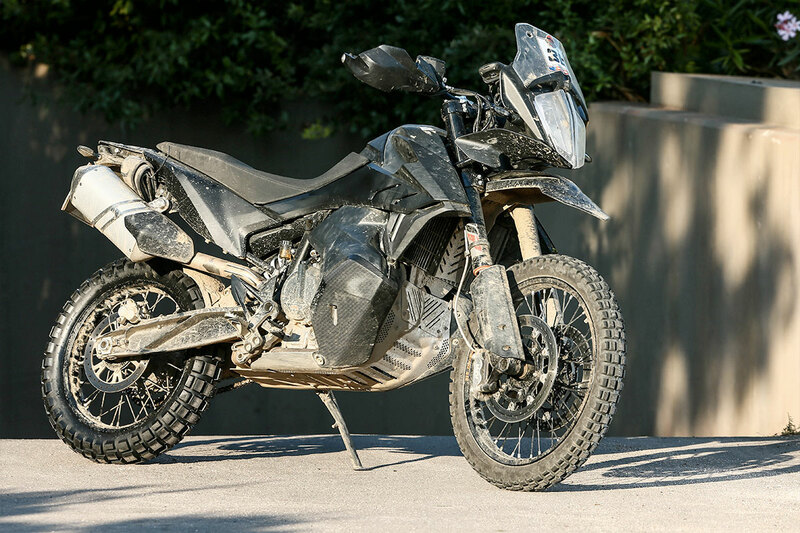 According to KTM, the 790 Adventure is developed in tandem with the company’s Dakar-winning KTM 450 RALLY bike. It is an advanced prototype version of the bike, and the production version will debut at EICMA 2018. 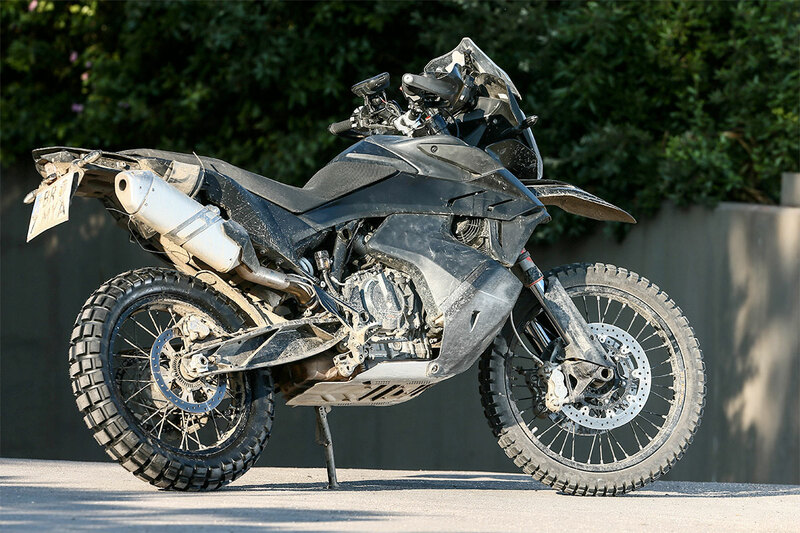 The KTM 790 Adventure will employ the same LC8c 799cc, parallel-twin engine, which also powers the 790 Duke. However, this engine will be tuned to provide a broader torque curve on the new ADV. KTM has also revealed that the bike will come loaded with an extensive suite of electronics along with lean angle sensors. Like the 790 Duke, we can expect the KTM 790 Adventure to get cornering ABS, multi-level traction control system, ride-by-wire throttle, and riding modes. The bike will also feature long-travel suspension with fully-adjustable WP forks up front and a WP PDS mono-shock at the rear. The 790 Adventure will get adjustable ergonomics, which means the foot pegs and handlebar can be adjusted according to the rider. Another interesting bit is the low-slung fuel tank that offers a better centre of gravity, and a tank range of 400 km. This setup has also helped in having a low seat height and added ground clearance. The KTM 790 Adventure gets a radial mounted, 4-piston callipers at the front and 2-piston callipers at the rear. The bike is shod with 21-inch front and 18-inch rear wire-spoke wheels with knobby tires to take on dirt tracks. The KTM 790 Adventure will get a low-slung fuel tank that will aid centre of gravity and provide a 400 km range. The KTM 790 Adventure will go on sale globally by early 2019. However, KTM doesn’t have plans to launch the ADV in India, anytime soon. That said, KTM India has already confirmed the 390 Adventure for the domestic market. The bike will be manufactured at Bajaj’s Chakan facility and will reach showrooms in 2019. EICMA 2018: KTM 790 Adventure range revealed - India Bound?